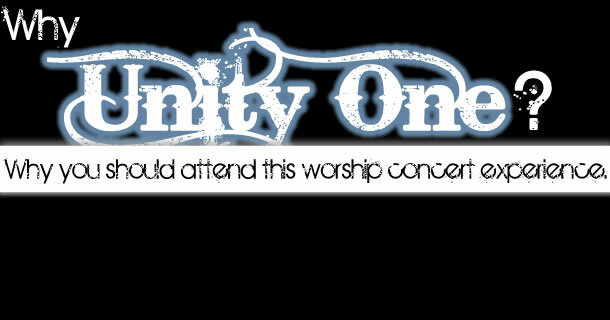 Jul 25, 2010 Dec 5, 2012 UnityOne WorshipLeave a Comment on Why Attend Unity One? Unity One’s focus is cultural diversity and a corporate atmosphere or worship. At Unity One, songs in different languages are purposely sung by those who may speak another language as their first language. We want to teach the body of Christ how you worship across linguistic barriers and not just merely tolerate your brother or sister in Christ, but join with them as they sing their songs to God. Most nations of antiquity and the world worship God the Father, and most have songs sung in adoration and thanks to the Father. Worshiping together and knowing and hearing our brothers and sisters sing their praises to God is one way to represent unity on the body of Christ. Unity One is not merely a concert, but an worship experience for us to connect to our Maker, to each other, and to the world in the social justice we give back with each event. We give the body of Christ an outlet to see, hear, and feel multicultural worship. During Unity One, we allow for the participants to be apart of what is happening. We don’t only talk diversity, we actively do it and we bring you in with us. We open dialogue and working partnerships for churches to use multi-cultural worship. 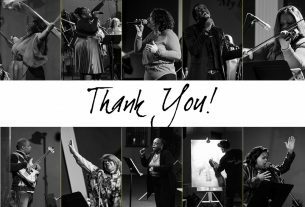 After the concert, you will find resources on how to create diverse partnerships and open your congregation to multicultural worship.